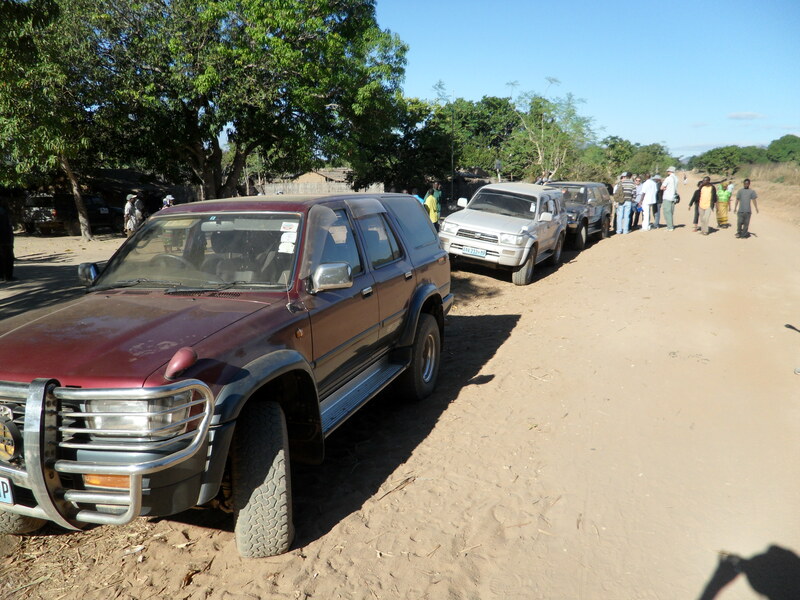 After two weeks of intensive training and a successful pilot study, the fieldwork for the follow-up study of the MCA’s rural water program in Nampula, Mozambique, began on Monday (June 10). As the fieldwork progresses over the next seven weeks, the surveying teams will undertake household surveys, water committee interviews, water point observations, technical assessments, and water source/storage testing, among other activities. As usual, the pilot study proved to be an invaluable way to learn where the surveyors and team leaders required additional training and where our support team (consisting of researchers and staff from Virginia Tech, Stanford, and WE Consult) needed to provide additional support or rethink existing standard operating procedures (SOPs). The logistics associated with this project are complex and not only involve the careful programing of when and where the field teams will be over time, but also managing tasks such as how the 1,800 water samples will be transported for processing and where this processing will occur – i.e., in the field or back in our base camp. We also plan to collect water source samples in four communities at four different times during the day on three different occasions to check for variability in the quality of water over time. This type of water source testing will add a new dimension to our study and help identify whether the quality of water in these communities changes over a period of around six weeks. Another new dimension in the follow-up study is that the surveyors will use GPS devices to find the households we interviewed back in 2011. I will report back later on how successful they were at finding these households. From a data quality perspective, we continue to advance and refine our data review and cleaning processes with our on-the-ground statistician (Marcos Carzolio). This year we are leveraging secure data transfer technology to enable the research team to view the data from any location in the world as soon as it is available. 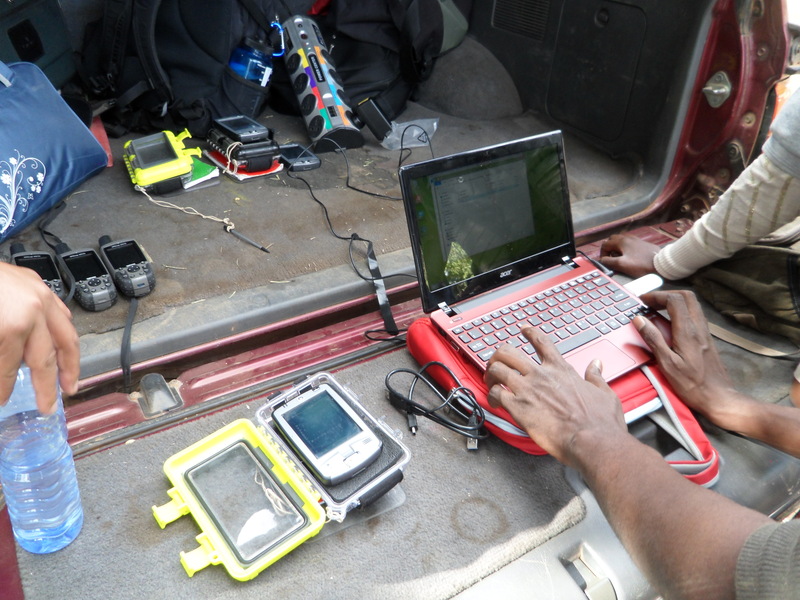 This platform also enables the lead researchers to communicate with the fieldwork team leaders as they upload the data in remote rural areas. While the household survey is administered using PDAs, making the data easily accessible, the remaining surveying instruments are paper-based and require a different data entry and review process. This task will be managed by our in-country partner (WE Consult) given the need to have native Portuguese speakers managing the process. In the next week, a fourth surveying team will leave Nampula and travel to Cabo Delgado to begin a study of eight small piped solar systems that have been constructed by the MCA. This more qualitative study will attempt to identify those factors supporting or limiting the successful delivery of water services via these systems. The Cabo Delgado team will be led by Emily Van Houweling (Virginia Tech) who spent a year in Mozambique as a Fullbright scholar last year while completing her doctoral research. The above description should provide some insight into the many moving parts of this large-scale study, which is providing our team with plenty of challenges, but is also proving to be a highly rewarding experience for all involved. While our primary objective is to undertake an impact evaluation for the MCC, we hope our data will be of real value to the provincial and national governments of Mozambique and to the international community when making decisions about how to invest in sustainable rural water and sanitation services in the country. The images below were taken during our final week of training and the pilot study.